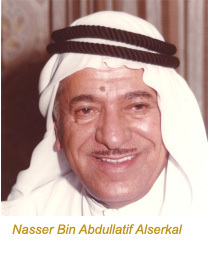 Founded in 1947 by Mr. Nasser bin Abdullatif Alserkal, the Alserkal Group of companies group of companies have made their longstanding mark within the market as one of the established emirati companies that continues to prosper with its ever growing reach and solidified connections within the UAE and its neighboring countries. Having been active for more than 60 years, Alserkal Group of companies and its subsidies have played an important role in the overall development of the UAE and its trading sector. Starting of a Real Estate and General Trading entity the Alserkal Group of companies expanded its reach and servicing sectors by partnering with key names such as Bridgestone tires and Apollo tires. Its various other activities include Travel and Tourism, Facilities Management, Properties and cultural initiatives. Alserkal resounds within the walls of SEWA (Sharjah Electricity and Water Authorities), DEWA (Dubai Electricity and Water Authorities), Etisalat (UAE’s Communication facet), Emirates NBD and many more as an integral part of the board, aiding establishment. The current generation, Mr. Ahmad Alserkal and the family play stake holders to the entities and continue on the legacy of the Alserkal name. Mr. Nasser bin Abdullatif begun as a business man with the community and the growth of the country marked as priority in his ambitious plans. He surpassed several milestones that boosted UAE’s trading growth by being the first to commercialize electricity, introduce water drilling and generators, oversaw the establishment of the UAE’s first Telephone Company. Alongside its corporate aspect of business, the Alserkal Group of companies partake in social events that in community and tram building.All the units functioning under the Group of companies take pride in their local history and emulate the very same importance as it Alserkal Group of companies did decades ago and perseveres to continue on this path of flourishing business with the community at its heart.